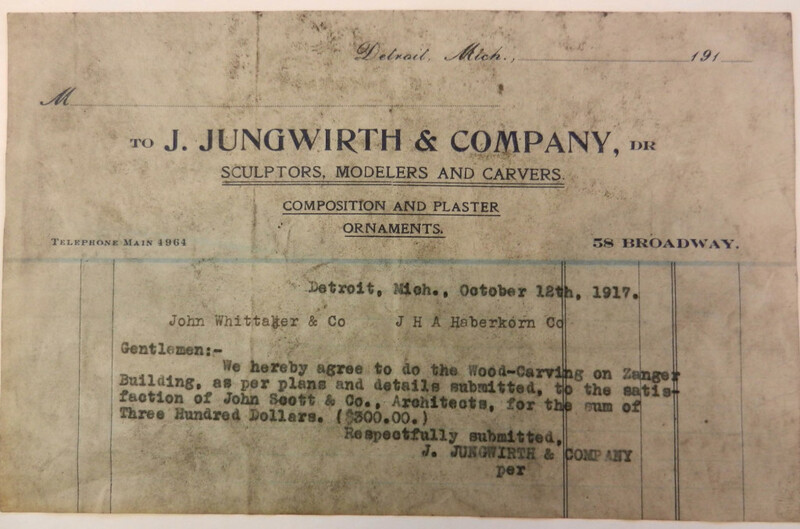 Joachim Jungwirth (1860-1940) was born in Austria and emigrated with his parents around 1882, settling first in Wisconsin, then in Grand Rapids where he worked as a woodcarver in the furniture industry, before coming to Detroit. Primarily a woodcarver, his work was often subcontracted with firms like Vinton Company and Wm. Wright Company. His work ranged from fireplace mantels and surrounds to pilasters, mahogany moldings and panels, lecterns, pulpits, and furniture. He joined Richard Reuther in 1882; was part of The Wilton-Reuther Company which was established in 1899; entered into partnership with Henry A. Siebert as Jungwirth & Siebert (1903-1910); and finally established J. Jungwirth & Company. He is buried in Mount Elliott Cemetery. 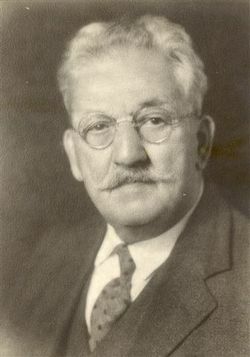 The Joachim Jungwirth Papers are housed in the Burton Historical Collection, Detroit Public Library.